Honda CERTIFIED!!! Long Beach Honda is pumped up to offer this fantastic 2017 Honda Accord LX.Here at Long Beach Honda, we focus on creating lifetime customers and on listening to you. We don't just want one car sale; we want you to enjoy your experience so much that you keep coming back! So let's get started! Browse our online inventory, get more info about vehicles, or set up a test drive!Recent Arrival! Certified. CARFAX One-Owner. Modern Steel Metallic 2017 Honda Accord LX27/36 City/Highway MPGHonda Certified Pre-Owned Details: * Powertrain Limited Warranty: 84 Month/100,000 Mile (whichever comes first) from original in-service date * 182 Point Inspection * Roadside Assistance with Honda Care purchase * Limited Warranty: 12 Month/12,000 Mile (whichever comes first) after new car warranty expires or from certified purchase date * Warranty Deductible: $0 * Vehicle History * Transferable WarrantyAwards: * ALG Residual Value Awards * 2017 IIHS Top Safety Pick+ (When equipped with Honda Sensing and specific headlights) * 2017 KBB.com 10 Most Awarded Brands * 2017 KBB.com Brand Image Awards2016 Kelley Blue Book Brand Image Awards are based on the Brand Watch(tm) study from Kelley Blue Book Market Intelligence. Award calculated among non-luxury shoppers. For more information, visit www.kbb.com. Kelley Blue Book is a registered trademark of Kelley Blue Book Co., Inc.
Honda DREAM DEAL SALES EVENT....RECEIVE 2.49% APR FINANCING FOR QUALIFIED CUSTOMERS.Long Beach Honda is excited to offer this charming 2017 Honda Civic LX. Here at Long Beach Honda, we focus on creating lifetime customers and on listening to you. We don't just want one car sale; we want you to enjoy your experience so much that you keep coming back! So let's get started! Browse our online inventory, get more info about vehicles, or set up a test drive!Recent Arrival! Certified. CARFAX One-Owner. Rallye Red 2017 Honda Civic LX31/40 City/Highway MPGHonda Certified Pre-Owned Details: * 182 Point Inspection * Roadside Assistance with Honda Care purchase * Vehicle History * Warranty Deductible: $0 * Transferable Warranty * Powertrain Limited Warranty: 84 Month/100,000 Mile (whichever comes first) from original in-service date * Limited Warranty: 12 Month/12,000 Mile (whichever comes first) after new car warranty expires or from certified purchase dateAwards: * 2017 IIHS Top Safety Pick (When equipped with Honda Sensing) * 2017 KBB.com Brand Image Awards * 2017 KBB.com 10 Most Awarded Brands2016 Kelley Blue Book Brand Image Awards are based on the Brand Watch(tm) study from Kelley Blue Book Market Intelligence. Award calculated among non-luxury shoppers. For more information, visit www.kbb.com. Kelley Blue Book is a registered trademark of Kelley Blue Book Co., Inc.
ONE OWNER LOCAL LEASE RETURN!!! Long Beach Honda is very proud to offer this fantastic 2016 Honda Accord LX. 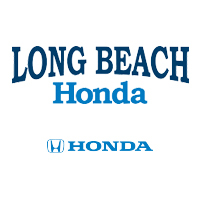 Here at Long Beach Honda, we focus on creating lifetime customers and on listening to you. We don't just want one car sale; we want you to enjoy your experience so much that you keep coming back! So let's get started! Browse our online inventory, get more info about vehicles, or set up a test drive!Recent Arrival! Certified. CARFAX One-Owner. Modern Steel Metallic 2016 Honda Accord LX27/37 City/Highway MPGHonda Certified Pre-Owned Details: * Vehicle History * 182 Point Inspection * Limited Warranty: 12 Month/12,000 Mile (whichever comes first) after new car warranty expires or from certified purchase date * Warranty Deductible: $0 * Roadside Assistance with Honda Care purchase * Powertrain Limited Warranty: 84 Month/100,000 Mile (whichever comes first) from original in-service date * Transferable WarrantyAwards: * ALG Residual Value Awards * 2016 KBB.com Brand Image Awards2016 Kelley Blue Book Brand Image Awards are based on the Brand Watch(tm) study from Kelley Blue Book Market Intelligence. Award calculated among non-luxury shoppers. For more information, visit www.kbb.com. Kelley Blue Book is a registered trademark of Kelley Blue Book Co., Inc.